As we usher in an age of automation, a revolution of industries 4.0, we have crossed the threshold of segregated industry sectors and evolved into being entities in the larger technology space. Whatever the field of operations, technology is the only constant determinant of success in the markets of tomorrow. Our day-to-day communications and operations are entirely dependent on technology. Monitoring, analysis, and implementation are now entirely routed through the technology wing. Therefore, it is fair to say that a company is only as capable as the weakest link in its technology team. So who are your tech enablers, and what do they bring to the table? Answering this one question is a critical first step for both review and future planning. Scaling up of any operations and the future go-to-market strategies are heavily dependent on the time and cost of technology implementation and cripplingly reliant on its seamless integration. So if your tech guys are not acing it on a daily basis, why did you even bother coming in to work today? Having said that, here’s a holy grail of a checklist you can consider while evaluating the strengths of your technology pool. Are you agile and responsive as an organization and toe-to-toe with the industry firsts? Are you facing any recurring challenges relating to enterprise mobility, systems integration, interoperability, and scalable systems’ architectures? Do you burn more than you earn on account of the technology P&L? Do you cut corners in other sectors to make way for a tech upgrade? Would an extra room or floor give you an edge in achieving your staffing goals? Well, thatâ€™s all there is to it then. The modern marketscape is a dynamic concept changing faster than the ticking hands of a Big Ben on speed.Â Having said that, a majority of the smaller startups with the great potential to shape the future may not always have the elbow room for an Ivy League technology team. Nothing kills a good business faster than bad technology. More often than not, companies find themselves limited by the skill of the only technology team they could make room for. However, therein lies the solution â€“ A Technology Partner. A technology partner is a third party technology service provider with a wider array of services and experience. 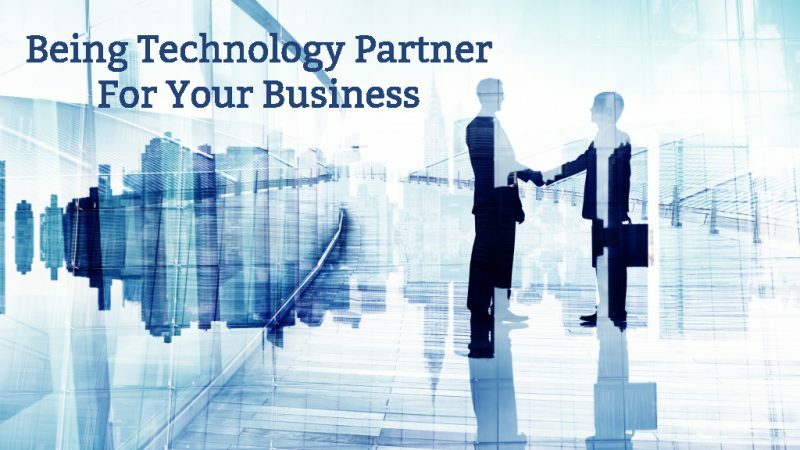 The right technology partner brings in an intuitive and hands-on approach with time-tested business sense. It gives you flexibility and control in terms of your actual on ground requirements and the compensatory cost to the company. The right lean approach here can give the desired chain reaction in multiple directions. What works best is a robust organization driven by innovation with mature yet flexible processes. Look for a value proposition rather than a pricing matrix, and that will be the key differentiator. Look for a team who can understand your culture and are quick to adapt to your standards to deliver a seamless technology service experience. Look for critical and strategic technology partnerships, which have forged a firm understanding of directives and standards. It is important that a solid quality control element is locked firmly in place to support your business goals. This entry was posted in .Net Development, Android Development, Desktop Apps, Mobile Apps, Software Services, Technology Partner, Web Apps and tagged .net Application Development, .Net Core, 3rd party interfacing, Android, Android App Development, API development, app development, app migration, Mobile App Development, native app development, native mobile app development, Software services, Tech partner, technology partner, technology partners, value edge solutions, ves, Web Application Development. Bookmark the permalink. We got the right technology partner. A very well crafted article and raises some pertinent questions. Liked it!! Hey there! Someone in my Facebook group shared this site with us so I came to take a look. I’m definitely enjoying the information. I’m book-marking and will be tweeting this to my followers!